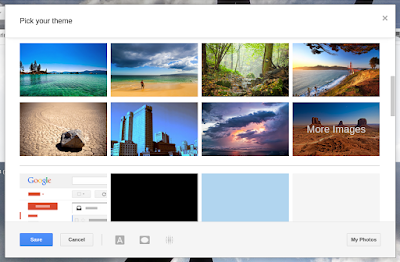 A lot of new Themes and design options has been added to Gmail recently. you can now even attach "Blur" to any selected background picture, as well as a Vignette. In the new dialog box you can not only choose background photos, or your own photos, but complete themes as well. Another little, but important thing, are the changes to the Emojis. It can be a loss, because many old smilies has been gone now. 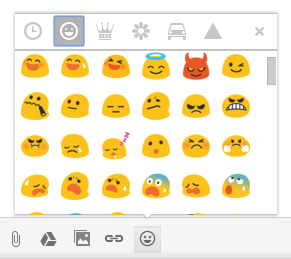 The good thing is they are now equivalent to the emojis in Hangouts and therefore the same as on mobile. That is of course very important as everything goes mobile and it#s quite irritating seeing these emojis differently on different platforms. The thing that raised my eyebrows though, were the little changes if you compare to the current hangouts emojis. Some are quite different with their expression or slightly new designed. That could point out to a change in the Hangouts emojis in version 4.0, too. Interesting. I feel there is a different expression. I'll have to tell my chat buddies :).